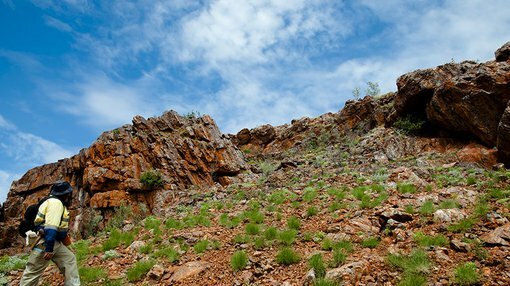 Alloy Resources (ASX:AYR) has reached an agreement with Jindalee Resources (ASX:JRL) to acquire an Option to purchase an exploration licence application within the highly prospective Millrose Greenstone Belt. 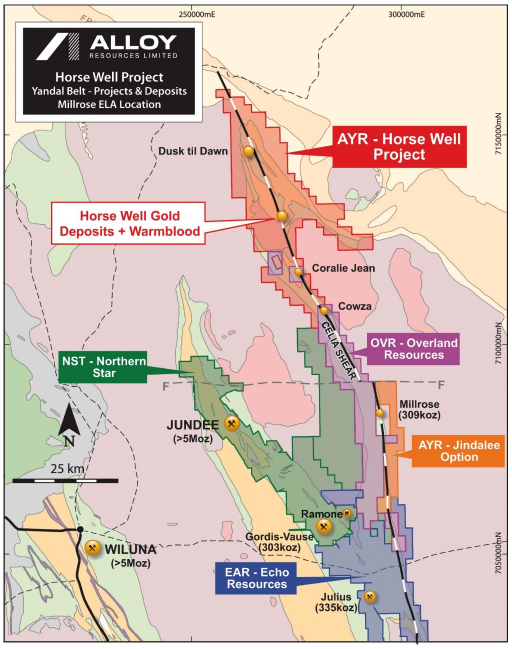 Exploration licence application 53/1962 (“ELA”) is adjacent to AYR’s Horse Well Gold Project, which is situated in the north eastern goldfields of Western Australia and adjacent to Northern Star’s Jundee Gold mine (below). Both sites are on a major mineralised structure called the Celia Shear, which extends into the eastern margin of the Millrose Greenstone Belt. According to the company, ELA surrounds Millrose’s eastern flank, which has an Inferred Mineral Resource of 309,000 ounces of gold. AYR Executive Chairman Andy Viner spoke on the new acquisition, “We think the new ELA area significantly enhances the potential for Alloy to make new gold discoveries as it expands our coverage of the mineralised Celia Shear from 60 to 80 strike kilometres. “One of our most intriguing targets is the Celia Shear extensions to Overland Resources new high-grade surface quartz vein discovery at Coralie Jean which has only emerged in the last quarter. “Another reason for excitement is the location of the ELA licence is only 8 kilometres east of Northern Star’s Ramone discovery, which is also showing the untapped potential of this area,” he said. AYR expects the Millrose ELA to be granted shortly as it commences field work at the nearby Horse Well Gold Project.